Father’s Day is just around the corner – time to plot and plan how to show our favorite dads just how much we love and appreciate all they do. 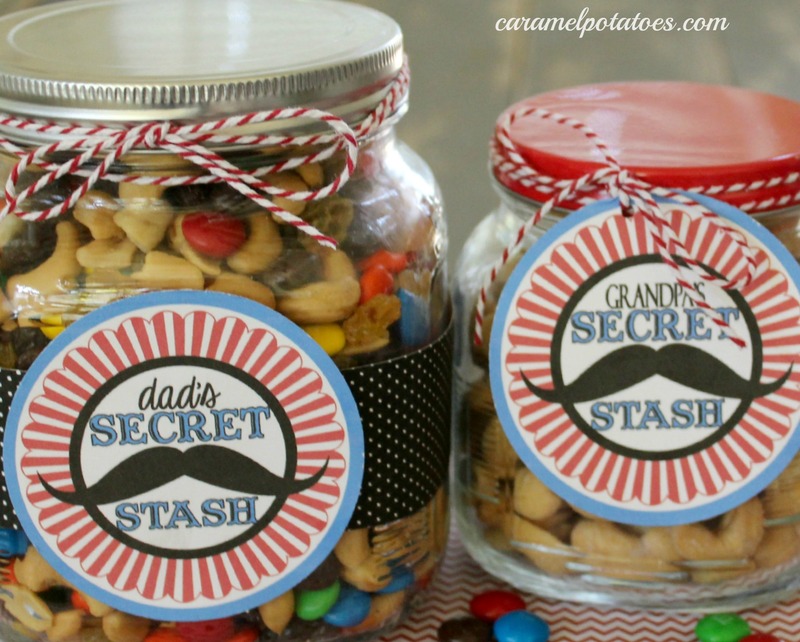 This year, to make it so simple, we’ve created this one-size-fits-all “Dad’s Secret Stash” tag. 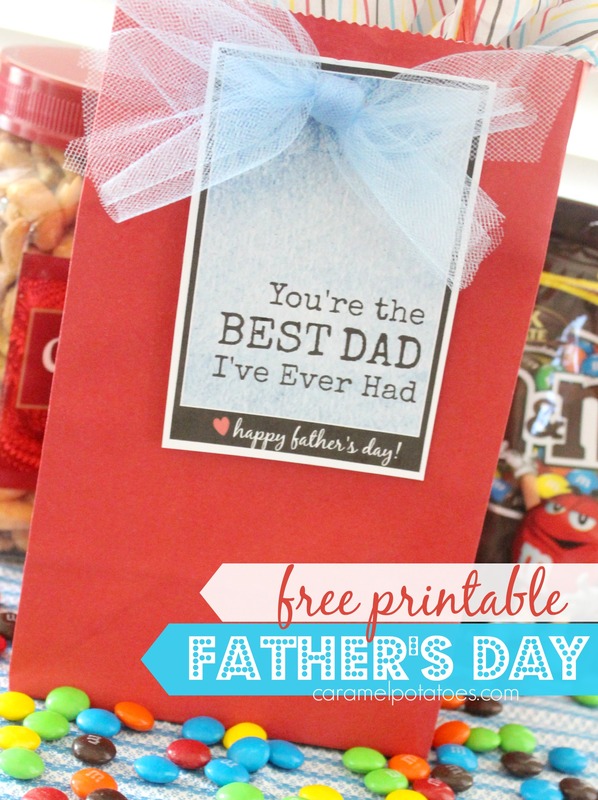 You absolutely can’t go wrong when you wrap up his favorite treats or bake his favorite goodies. My hubby’s favorite munchies include Trail Mix and M&Ms, but to really make his day it would definitely be a personal stash of these Chocolate Chip Cookies. 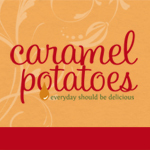 If you’re not sure what to make, check out our Recipe Box for all kinds of yummy treats as well as great ideas for Father’s Day dinner or breakfast. Of course we don’t want to leave out Grandpa! We’ve got a tag to wrap up his favorites also . . . Enjoy and celebrate all the wonderful men in your life! Love this. Gpa will love it. Thanks! 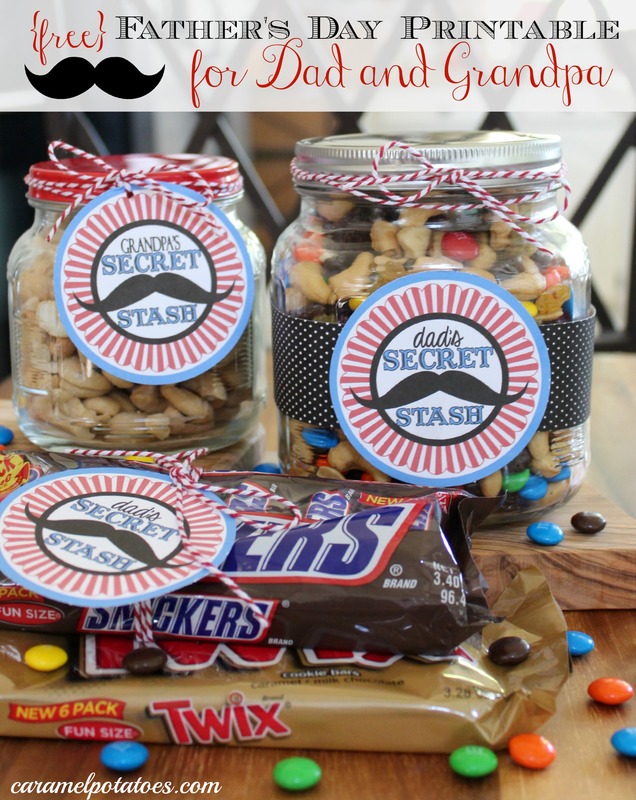 This is perfect for Father’s Day!! This is super cute, I pinned it and printed it to use! Thanks! Just printed this out for grandpa and planning to make his favorite cookies. Thanks- he will love it. What a charming gift idea. Thanks for sharing at Inspire Us Thursday at Organized 31.
what is the trick to downloading these? Not working for me. What a cute downloadable. But why use a site like 4shared for your file download? It is so irritating to have to sign up. It is frustrating that they are collecting email addresses (probably to sell to spammer), and using questionable business practices. love this! Thank you for doing!